On November 3, Bostonians felt the earth move under their feet and the reason was Carole King! The legendary singer/songwriter—and subject of the hit Broadway musical Beautiful—was in Bean Town to celebrate the touring production's opening night at the Boston Opera House. The national tour of Beautiful, which stars Abby Mueller as King, will play the Boston theater through November 15, but Carole King herself couldn't resist catching the first performance. 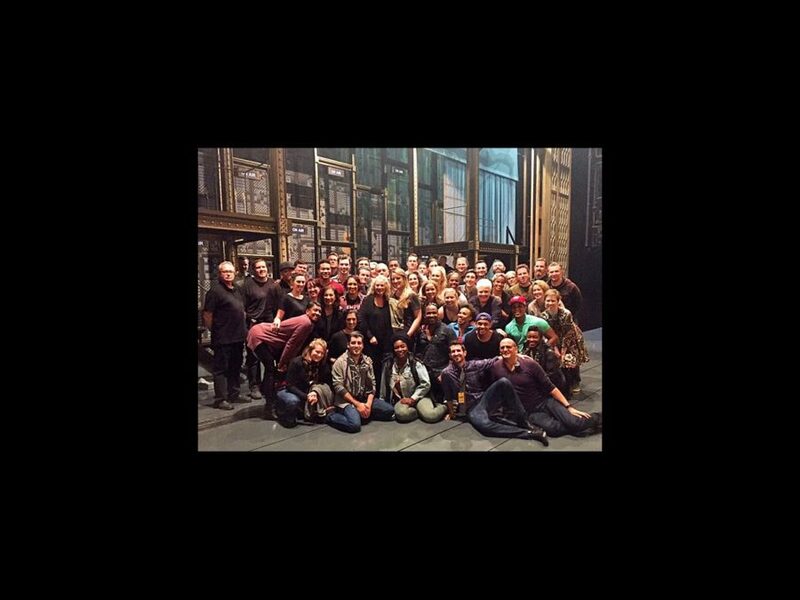 King even took the time to congratulate the show's cast and creative teams and snap this Hot Shot with everybody right on the stage where her incredible story is being told night after night. Do yourself a favor: take a good look at this pic and then get your tickets to see Beautiful: The Carole King Musical before it leaves The City on a Hill. You'll have "one fine day," indeed!